The Pittsfield-based company will add workers in a number of fields for projects across the state, including at the Kittery shipyard. Buoyed by several new projects in its pipeline, Pittsfield-based construction company Cianbro Corp. is looking to hire 300 additional workers in 2018. The company, which already employs 1,350 people in Maine, said Thursday it was looking for new hires in a number of jobs and trades needed for large projects across the state, such as a federal contract from the U.S. Navy to make improvements to a dry dock at the Portsmouth Naval Shipyard in Kittery. 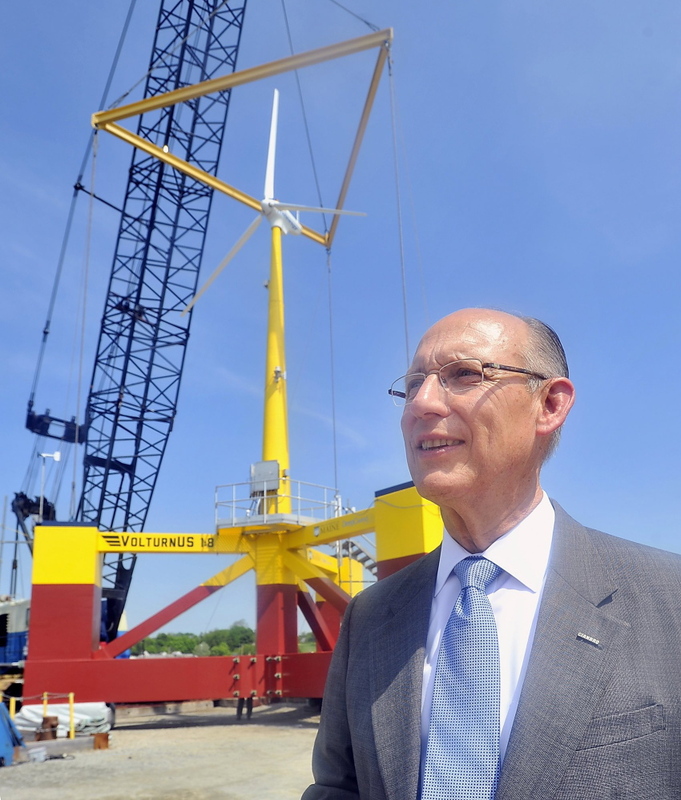 Pete Vigue, Cianbro chairman and CEO, said in an interview Thursday that the company has secured a number of projects, many of them in Maine ranging from Kittery to Bangor, which prompted the call for workers. Vigue said the new workers will be full-time, long-term employees. The company employs 4,000 nationwide. “This is work available now and will continue for a significant amount of time,” Vigue said. He said the positions run the full gamut, including millwrights, project managers, superintendents, iron workers, construction workers, surveyors, electricians, pipe fitters, structural and pipe welders and entry-level construction workers. He declined to provide a pay range for the various positions, saying only that the pay is “well above the minimum wage” and “we’re extremely competitive,” referencing the company’s significant benefits package. Vigue said the company was fortunate to be in a position to announce these new hirings, while also recognizing there are number of industry opportunities in the state of Maine. He cited the construction of a new building and parking garage in Bangor as just one of the projects these new hirings will be a part of, and also mentioned projects at the shipyard in Kittery. The company earlier this year received a $17 million contract from the federal government for work in Kittery at the Portsmouth Naval Shipyard. 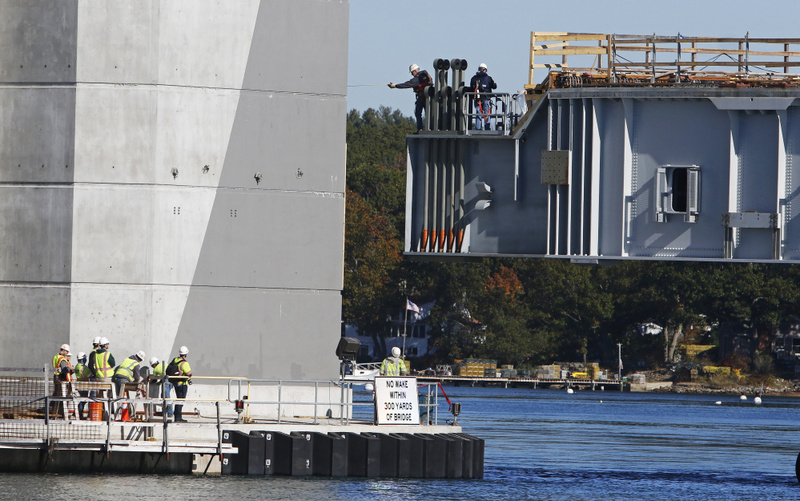 “There are a number of projects in Maine,” he said. Cianbro announced earlier this year that it was expanding its workforce development center in Pittsfield. Known as the Cianbro Institute, it provides in-house training from construction to electrical work to its employees. Cianbro, which has been nationally recognized as the Healthiest and Safest Company in America by the American College of Occupation and Environmental Medicine, was started in 1949 and has grown ever since. The new hires represent that continued growth. “We’re pretty happy about that, and it’s a reflection of the capability of our people and our team and their willingness to work safe,” Vigue said. Vigue also commended U.S. Sen. Susan Collins and U.S. Rep. Bruce Poliquin for “looking our for the interests of the people of the state of Maine” by supporting the recently passed tax reform bill in Washington, D.C. The bill, which passed in both the House of Representatives and the Senate, is the most sweeping overhaul of the tax system in 30 years. Awaiting President Donald Trump’s signature, the $1.5 trillion bill reduces the tax on corporations from 35 percent to 21 percent and provides temporary savings of various sizes to most Americans. Vigue said the company has been monitoring the vote on the bill daily, and he praised Collins and Poliquin for supporting it. He said it greatly affects Cianbro, which is owned by its employees. He said the bill will lower income tax rates for people in the organization. “We’ve been very focused on this bill, and it will have a very profound effect,” Vigue said.